In April 1987 the New Zealand Post Office was split into three separate companies – Telecom, Postbank and New Zealand Post. Each company was set up as a state-owned enterprise. Postbank was sold to ANZ Bank in 1989, and Telecom was bought by a consortium in 1990. New Zealand Post remained a state-owned enterprise. 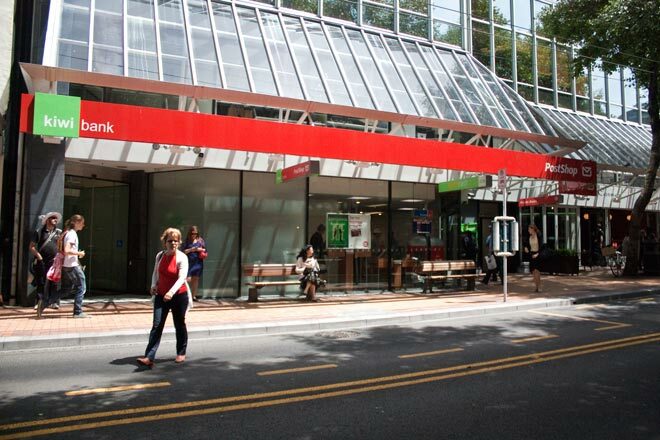 In 2002 it launched Kiwibank, which opened in existing New Zealand Post branches. This is the branch in Manners Street, Wellington.